Valve have announced that Steam Workshop, their nexus of fan content creation and sharing, has been integrated into the Counter Strike: Global Offensive beta. Modders can share their maps right out of the level editor and gamers lucky enough to be in the tactical shooter’s beta can download the levels and give feedback. The Steam Workshop is one of the quietest revolutions PC gaming has ever seen: people making things and sharing them with everyone is still the PC’s biggest strength and the whole process has been simplified to an astonishing level, providing modders with the hosting to distribute their work, as well as a system of voting that allows the players to upvote the best content and downvote the worst. How would de_dust have ended up with this sort of publishing arrangement? 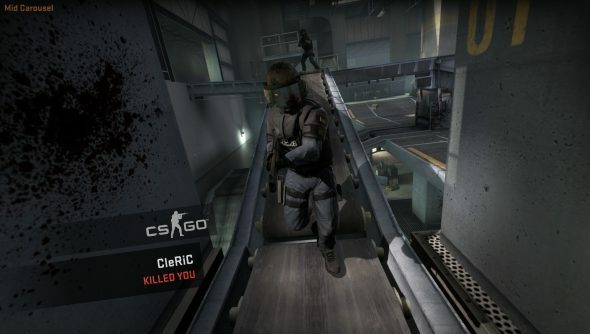 Would any of the Counter-Strike classics have made it to the top of the Most Popular lists? The popularity of Counter-Strike made it necessary for Valve to create Steam, to ensure all the players were always up-to-date. It’s nice to see it come full circle and prop up the modders looking make their mark on the game that started Valve’s push into digital dominance.